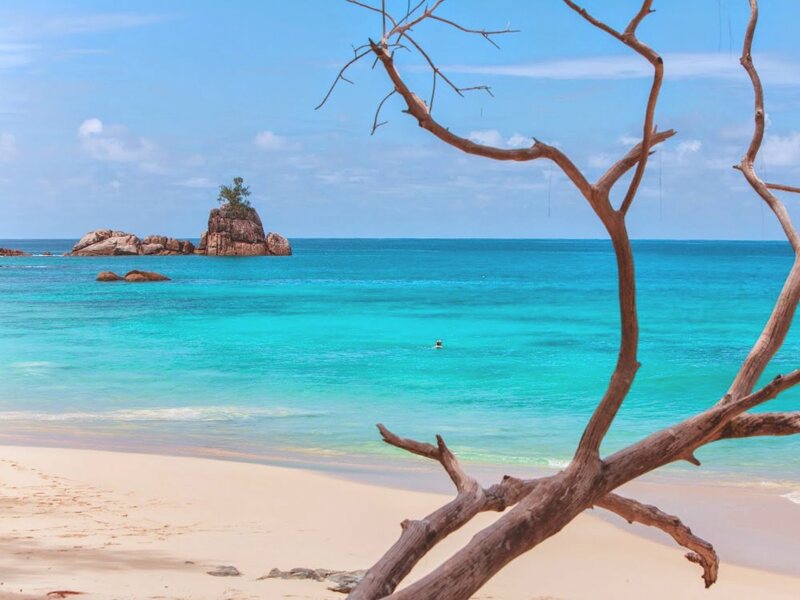 The hotel is located in the most attractive part of Mahe - so hire a car from the hotel and explore the many gorgeous beaches to be found close by! The unmatched position of the hotel probably deserves more stylish and luxurious rooms than the Standard and Superior Rooms in particular - then again, it would be much more expensive then! Boasting powder soft white sand fringed with tropical palms, lapped by a crystal clear sea and boasting some stunning rounded granite glacis (large boulders), the beach here is stunningly beautiful! First off, don’t get confused by the “Beachcomber” part of the hotel’s name. There is no link at all with the well-known chain of large, slick Mauritius resorts under that brand - in fact, it’s difficult to imagine something more different to those resorts than this charming and casual little hotel! What the Anse Soleil Beachcomber does offer is the chance for people on a limited budget to experience the beauty of these notoriously expensive islands without having to resort to the truly awful large budget resorts that you often see advertised at “bargain” prices. So what does the Anse Soleil Beachcomber have to offer? 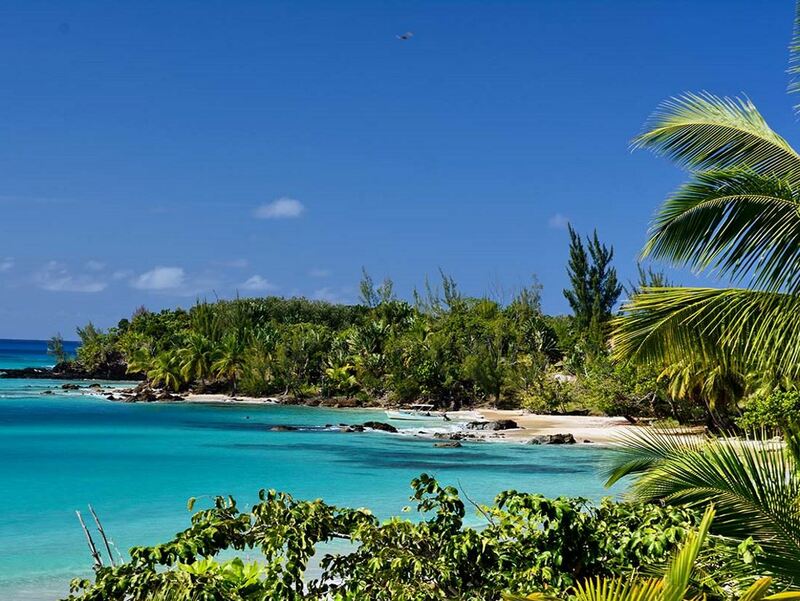 First and foremost amongst its attractions must be the hotel’s location on an idyllic secluded, sandy cove. Boasting powder soft white sand fringed with tropical palms, lapped by a crystal clear sea and boasting some stunning rounded granite glacis (large boulders), the beach here is stunningly beautiful! The water is warm enough for swimming year round, shallow enough at its edge for children, and clear enough to offer some good snorkelling especially around the headland to the left of the hotel (and the hotel will lend you masks and snorkels) With such a gorgeous natural playground on the hotel’s doorstep, the absence of a swimming pool is hardly missed. The 14 rooms are made up of 3 different types: the hotel’s original rooms are the 5 Standard and 5 Superior Rooms which enjoy the prime ocean front positions literally within a pebble’s toss of the beach and ocean - they’re roomy and clean and the décor is the typically old fashioned fare found in so much of the Seychelles, with tiled floors, white walls, sturdy dark wood furniture and Creole paintings predominating. The most recent addition (built in 2007) are the 4 Premier Rooms and these couldn’t be more different from the island style chintz of the cheaper rooms – instead these very spacious rooms boast thoroughly contemporary style and fittings with cool stone coloured screeded floors, bold modern artworks and more modern furniture; but it’s the huge walk-in showers with double shower roses that really caught our eye! The only negative though is that these rooms are actually located in an elevated position behind the other rooms – so they still enjoy sea views but are further from the sand which is a real pity. Also located just above the beach is a small open-sided restaurant and bar where you can relax and enjoy the gorgeous ocean views whilst the friendly staff serve up consistently good food. Again don’t expect sophisticated style - rather the décor continues the cheerful nautical theme seen in the reception area with colourful murals and draped fishing nets and baskets. 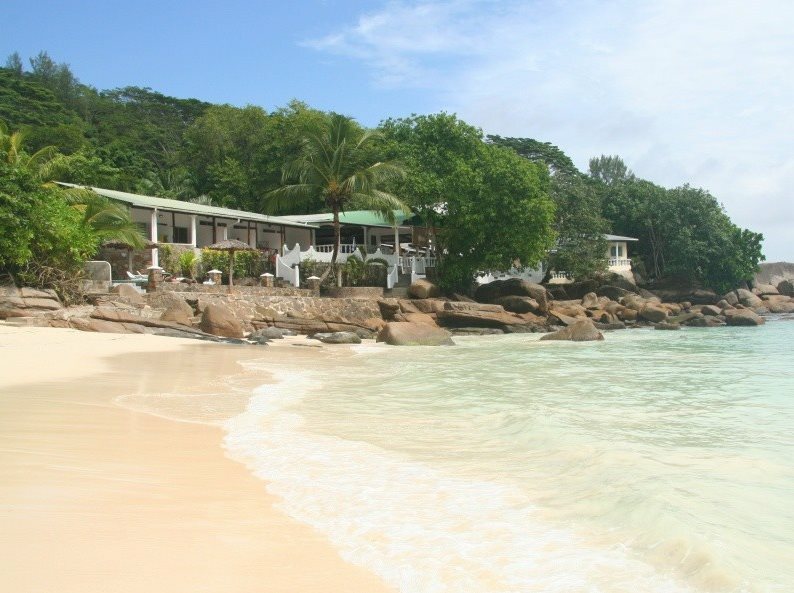 Another option is to stroll across the beach to the independent Anse Soleil Café – a casual sand floored restaurant with a well justified reputation for excellent seafood which also enjoys similarly stunning views over the beach. One of the things that we think is absolutely essential for you to enjoy a stay here is to rent a car (the hotel offers car hire onsite at extremely good rates) – this enables you to explore this south-east corner of Mahe at your leisure. This is the most attractive, unspoiled area of Mahe and a true artist’s haven so you can drop in on a number of studios in the area. Of course, there are also fantastic unspoiled beaches nearby with Anse Intendance and Takamaka beach being just two fantastic examples. 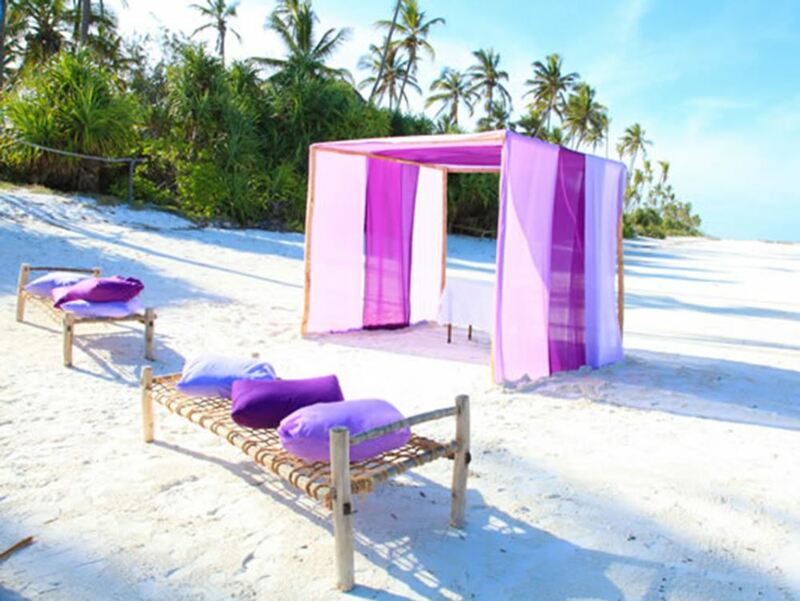 The lovely Chez Batista restaurant at Takamaka beach is a great lunch option on your explorations – this is “beach shack chic” at its best with its thatched roof, sandy floors and stunning position literally on one of the most spectacular beaches on Mahe. This is the perfect place to kick back with an ice-cold SeyBrew whilst enjoying some superb seafood before going for a barefoot stroll along the beach – the only problem is that you’ll never want to come back home!